We are a peoples' Kollektiv intended to help discover and share beautiful electronic music. mK is a reinvention of the traditional record label. We serve the same functions as a record label, but we operate in a very different way. Importantly mK is a strict non-profit organisation, we see no reason for listeners to pay to download our music. We and our artists see that sharing music can be done in a natural way, very different from the music industry that has evolved around us. All our releases are free, as the aim is purely to share our creations. The difference is that we recognize and promote the importance of coming together and sharing ideas in a Kollektiv format for the development of electronic music itself. By working together in an open Kollektiv we hope that our artists will reach new levels of creativity and blossom in ways maybe alone they would not have. To help you understand us, look at the picture of Hurst Spit below, this is natural formation of millions of little pebbles. Individually a stone from this Spit appears quite ordinary, but when the pebbles come together in a Kollektiv format, the result is astonishing. In the same way we at mK encouraging very talented individuals to share their creations in the Kollektiv format of our Kollektiv Artists CDs, which are released every three months. The result has naturally been some mesmerizing electronic music from a positive and diverse group of artists. We are based in Moscow, Russia but operate on a supranational level, with Kollektiv Artists coming from every corner of the world. We hope to see mK spread, both on the internet and on the streets, and so hopefully change the way the music industry operates. 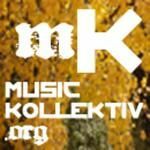 We hope to gain Kollektiv partnerships and connections in cities world-wide so that we can organically distribute our music without central control, just through individuals who are eager to share their music and the music of others. We aim to show that music can be shared and distributed among the masses without corporate control and profit. We also do not strive to control the spread of our music, but rather encourage its spread by directly sharing it in many portals, blogs, and other websites that to the traditional label are considered pirates, but to the people and to us are a great means of sharing. Anyone is free to use our music for any NON-COMMERCIAL purposes. You see unlike a traditional record label, we do not intend to tightly control the organization, indeed we hope that as the Kollektiv develops it will then become out of the control of any individual but rather be under the Kollektiv control of the musicians themselves. Indeed we welcome any creative person to become as involved in mK as they so please. We welcome all creators of electronic music to rise up and share their creations of any form through our mK Kollektiv. We create mK Kollektiv Artists compilations - every three months. These give Kollektiv Artists another opportunity to share their music in a kollektiv format. These compilations promise to bring together the most wonderful electronic music, and foster a kollektiv spirit between our artists encouraging them to reach new levels of creativity. Our Kollektiv is helping discover and share beautiful electronic music.